Thousands of flights canceled across Europe. Tens of thousands of air travelers who can't get where they want to go. A plume of ash spreading across thousands of miles. There's certainly more than enough news, as we've said, to report about the effect that this week's eruption of a volcano in Iceland is having on people and places far away. 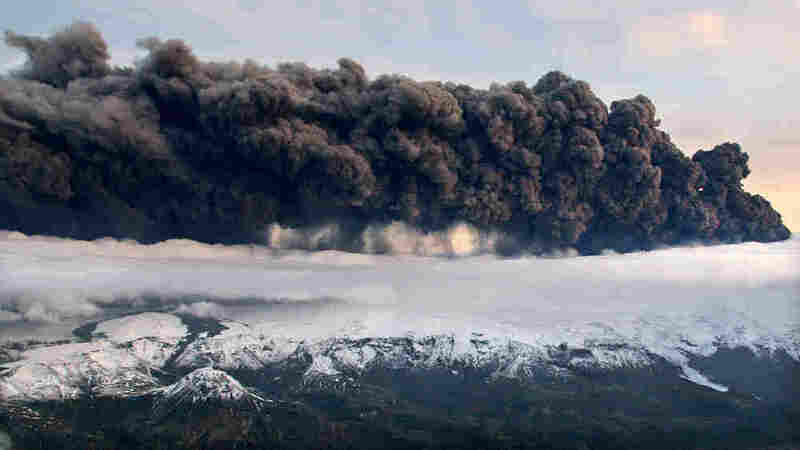 One thing you won't hear too often, at least on U.S. broadcast outlets, is an attempt to pronounce the name of the glacier -- Eyjafjallajokull -- under which the volcano lies and from which it gets its name. The Associated Press offers this pronouncer: "ay-yah-FYAH'-plah-yer-kuh-duhl." But that seems to have a couple too many syllables. NPR librarian Kee Malesky checked with Iceland's embassy in Washington and came away with this: "AY-yah-fyah-lah-YOH-kuul."